The ukulele is a a small guitar-like instrument and originated from Hawaii in the 19th century. The beauty of the ukulele is that it’s an easy instrument to play and still sounds really good. Body: this is the base of the ukulele, where the sound of the strings resonate. 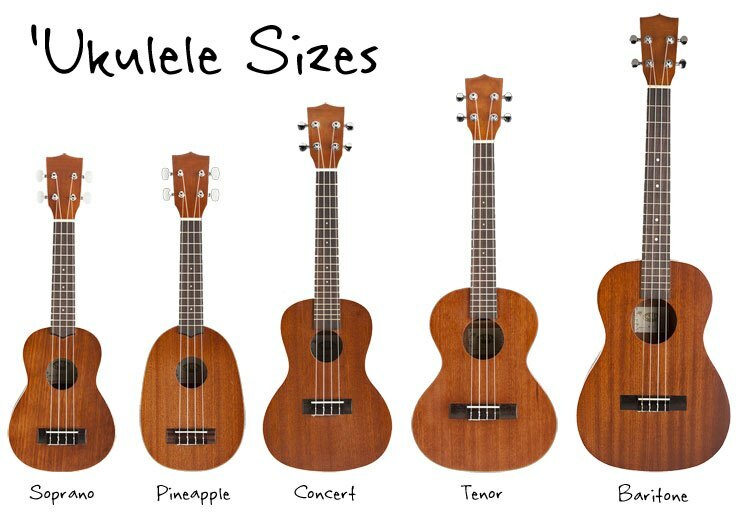 The body of most ukuleles is made of wood. Bridge: the part on the body where the strings are attached. Soundhole: this is where the instrument’s sound comes out. Neck: the neck is the long part and contains the frets. Frets: these are the spaces separated by thin, wooden or metal sticks where you place your fingers while playing. Nut: the part between the neck & the head that keeps the stings straight. Head: this is the top part, where the tuning keys are located. Tuning keys: to adjust the tuning of the ukulele. The soprano is the shortest (21″). It has 12 to 15 frets and produces the most lively sounds. The baritone is the longest (30″), has over 19 frets and produces the fullest and deepest sounds. The alto (23″) and the concert (26″) have characteristics somewhere between the other two. Make sure your instrument is in tune when you play or your songs won’t sound very nice. Learn the correct placement of the fingers on the frets in order to play the different chords. More info on chord can be found in the How to play Ukulele Chords page. When playing the ukulele you can stroke down or up. This is done by sliding your fingers up and down the strings. There are different strum patterns that can be used, this can be different for each song. Lots of song tabs can be found on the internet. A great song to play is Riptide by Vance Joy. 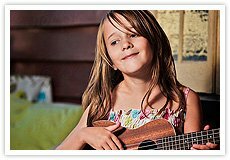 The following ukulele’s are great to learn and play your first songs on as a beginner. They are not too expensive but still sound great. Click on the ukulele’s below to get more info. 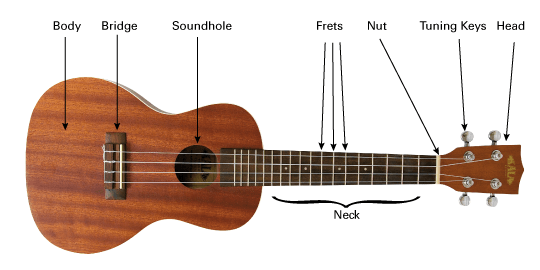 Now that you know the basics about the ukulele, the next step in to learn to play ukulele is how to tune the ukulele and learning the ukulele chords with our “how to play ukulele chords” guide.